Interviewer’s note: Starting today, we’re introducing a new feature on the Neo4j blog called “The 5-Minute Interview” where we’ll be interviewing graphistas from every walk of life – from the on-the-edge-of-everything-new hacker to enterprise architects and everyone in between. We hope this ongoing series shows the Neo4j community how the on-the-ground developers are using Neo4j and what is – and isn’t – working in their real-life development stacks. 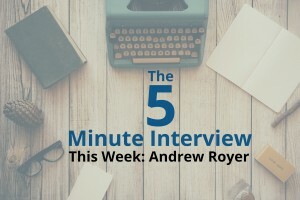 This week’s 5-minute interview features independent hacker Andrew Royer who I caught up with at GraphConnect San Francisco. Q: Can you talk to me about your Neo4j project, what you’re doing, what you’re using it for? Andrew: Sure. Essentially, I’m scraping articles for keywords, naturally processing them and putting them in a Neo4j database for my project, bestdailylineup.com. Then I use that information to serve content to users and get feedback from the users whether they like the article. From there, the project builds recommendations to lead to more articles and more pieces of content. I use a highly tailored graph database for daily fantasy sports to conduct player analysis to figure out if a particular athlete is injured, playing or not. Q: Awesome. Why did you choose Neo4j? What made it stand out? 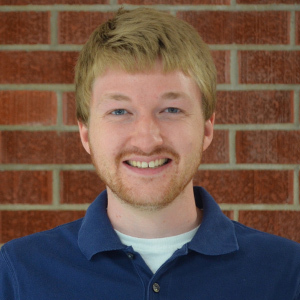 Andrew: I just had so much unstructured data, and I didn’t know what kind of schema to use. It was very quick for making recommendations, doing analysis and adding pieces of data and nodes at will. Q: What have you found to be the most interesting results so far? Andrew: I mean it’s very graphical. It’s also very quick to return recommendations, which is nice. I got Neo4j up and running with what I thought would be a complex recommendation algorithm, and it’s just a simple Cypher query, which is pretty cool. That lets me move on to the other stuff. Q: If you started out with Neo4j all over again what would you do differently, taking everything you know now? Andrew: I start over every day, but probably I would just use better descriptions of the properties and better naming conventions. Because once you start with one convention, you’re kind of stuck with it. I mean you could start a new convention, but then you’re stuck on the old crap and the old data. Q: Anything else you want to add or say about your project? Andrew: I really like the new release, 2.3, and I really want to start using it for processing a Twitter firehose and seeing how far I can take Neo4j and how much data I can put in there. I’d like to really stress test the thing and see if it really can handle it. In previous versions, it’s been a little bit hard to scale or at least some of my friends that have used it had that experience. But these advancements look great, so I’m very excited about it.